This gift set makes a perfect gift for the new couple or the veteran one. This makes a great housewarming gift as well. The beverage tub is lined to keep ice and water in as well as the drinks. The can insulators are simply an added benefit to keeps the drinks cold once they come out of the beverage tub. This is great for the backyard, poolside, beach and much more. Great for parties as well. The beverage tub also has a pocket on the outside to hold a beverage key, phone, keys and much more. *I am not responsible for monograms listed incorrectly. 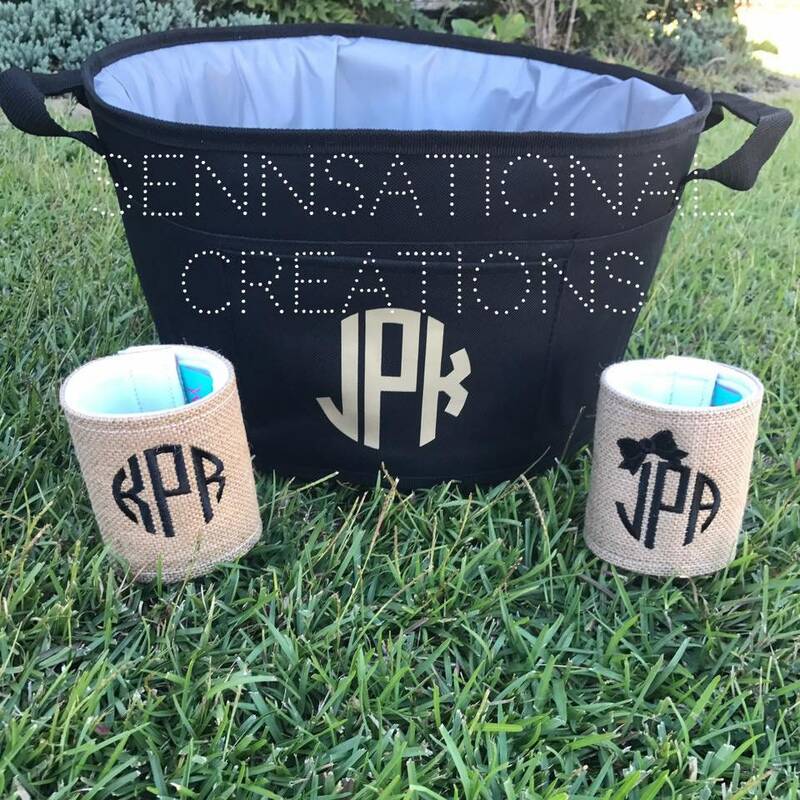 Please let me know if you would like another color for the monograms.... I will be happy to work with you with different ideas. However, the can insulators and the beverage tub colors are set.